Do you have any idea of just how truly brilliant you are? When you let your light shine you will never cast a shadow on anyone else. 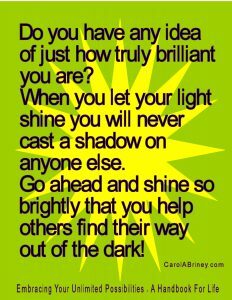 Go ahead and shine so brightly that you help others find their way out of the dark!